An arresting action and song cycle that explores the inner-workings of a haunted woman and the time she has lost, performed through choreography, spoken text, and original song accompanied by live harpsichord. The piece re-codifies samples from resources including Victorian mourning practices, the Spiritualist movement, clock mechanics, paranormal television shows, YouTube home videos, Janet Jackson, Kate Bush, writings of Ben Marcus, and the films The Snake Pit and Dancer in the Dark. as part of the http://newdancealliance.org New Dance Alliance Performance Mix Festival|. 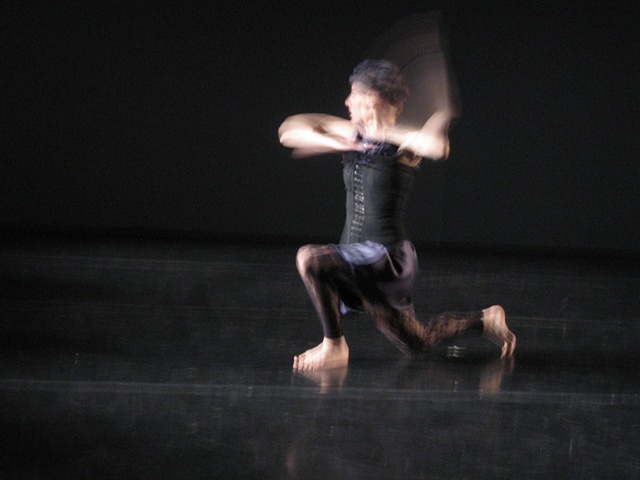 A 15-minute newly configured excerpt of the piece was shown, combining song with motion, gesture, and dance. Click here to view the promo video of Detail of Double Escapement. Click here to read the creative process blog.